Here are "just" 30 to add to your budget-friendly itinerary. And don&apos;t forget to check out free museum days throughout the year. 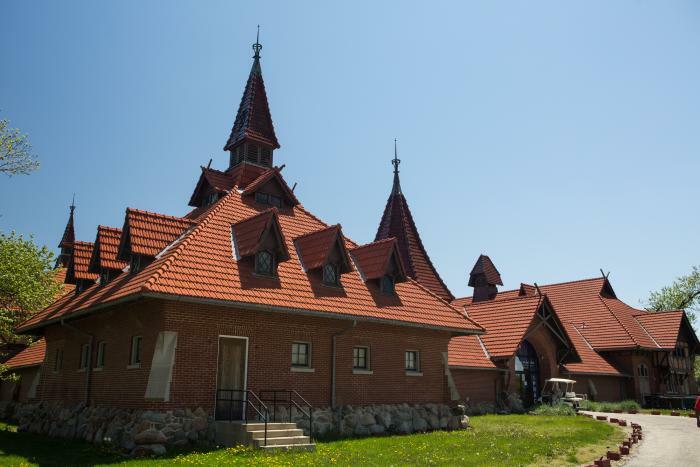 This historic landmark hosts hundreds of free programs year-round. The building has two unbelievable stained-glass domes, which you can see on your own or on a free building tour. The many halls regularly host free events, from weekly classical music concerts to blues, jazz and more. 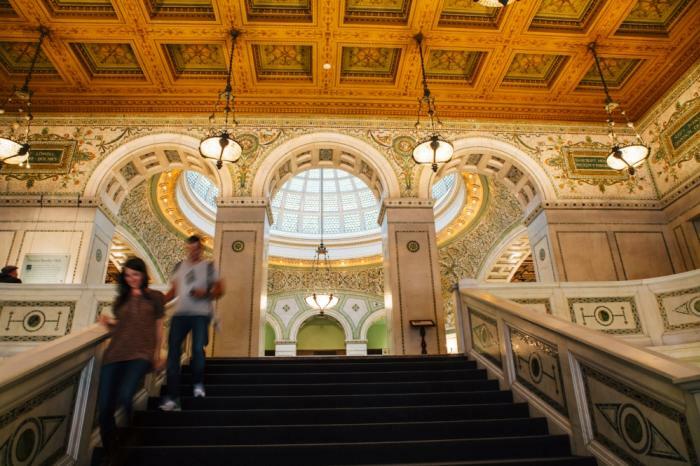 Also check out the daily Chicago Cultural Center schedule for free dance performances, film screenings, seminars and theatrical events. The Chicago Architecture Center is a nonprofit organization dedicated to exploring why design matters. 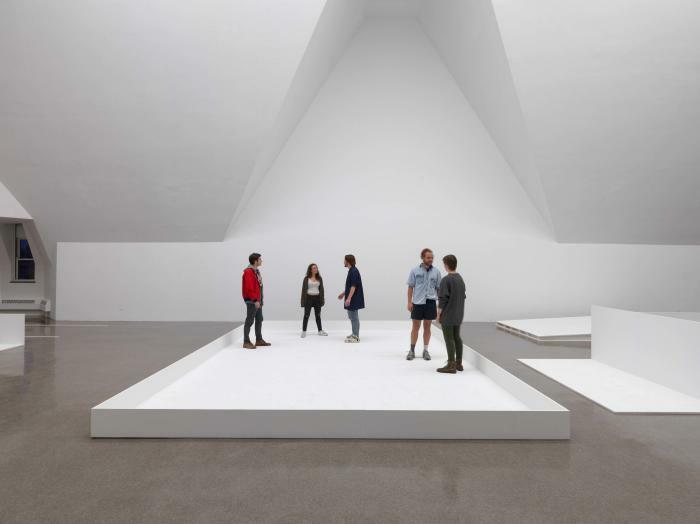 In addition to its acclaimed architecture river boat cruises and docent-led tours (ticket prices for those vary), CAC pursues its mission through free exhibitions, special events and youth/adult education programs. 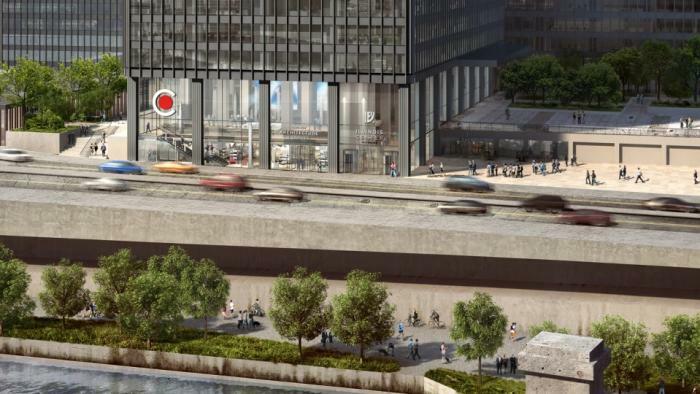 Visit its Loop headquarters to see an impressive 3D model of the city and catch a lunchtime seminar, or plan your trip around the CAC&apos;s marquee event, Open House Chicago, each fall. Note: In Summer 2018, come see the reinvented Chicago Architecture Center (pictured above). 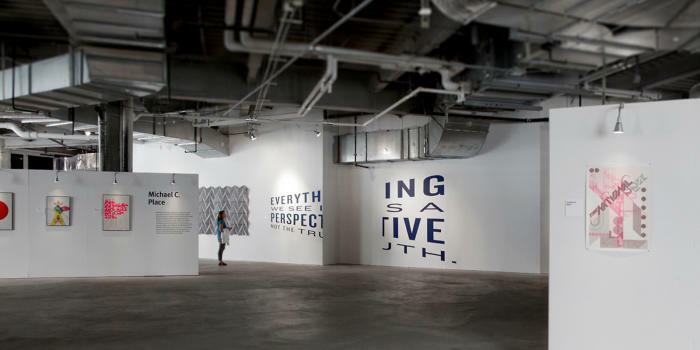 The Chicago Design Museum features exhibitions, tours, public and private programs, digital media, and workshops that are free and open to the public on Tuesdays through Saturdays from 12 p.m. to 7 p.m. 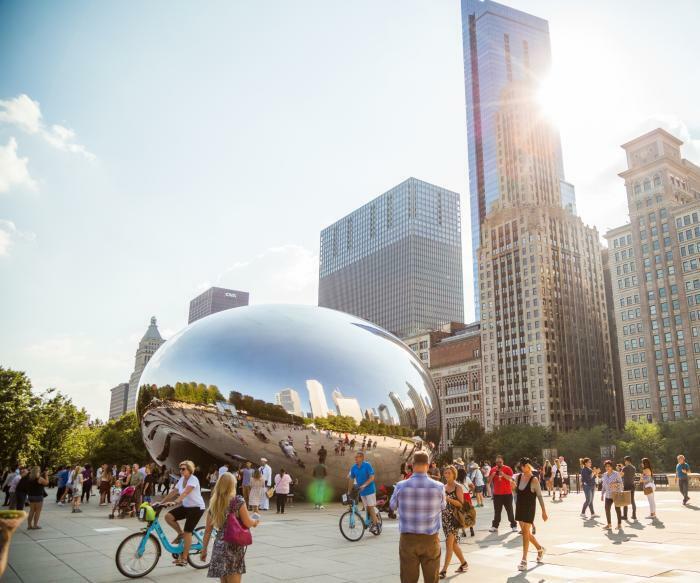 The Chicago Greeter program pairs knowledgeable locals with Chicago visitors for an informal, insider&apos;s orientation of the city and its many vibrant neighborhoods. Through customized, guided walks you can sightsee all across the city based on your particular interest areas, from public art and architecture to food and films. 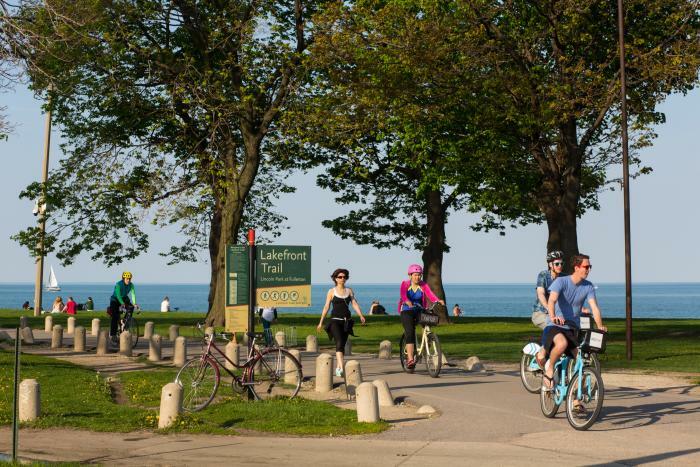 Hit the Lakefront Trail to run, walk, bike or rollerblade with the blue waters of Lake Michigan to one side and gorgeous, green parks to the other. Along the trail are green spaces, beaches and gardens; recreation areas, including playgrounds, soccer fields, volleyball nets and tennis courts; and amenities like washrooms, drinking fountains and concession stands. 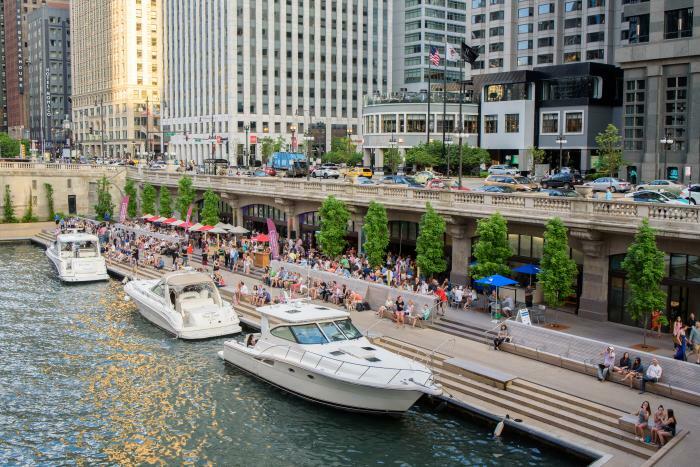 Eat, drink and play along Chicago&apos;s multi-award-winning Riverwalk, a scenic promenade on the water&apos;s edge that stretches from downtown Lake Street to Lake Michigan. See a bridge lift from inside the bridge house with a visit the McCormick Bridgehouse & Chicago River Museum (free on Sundays), and take in the world-famous architecture that lines the Chicago River. 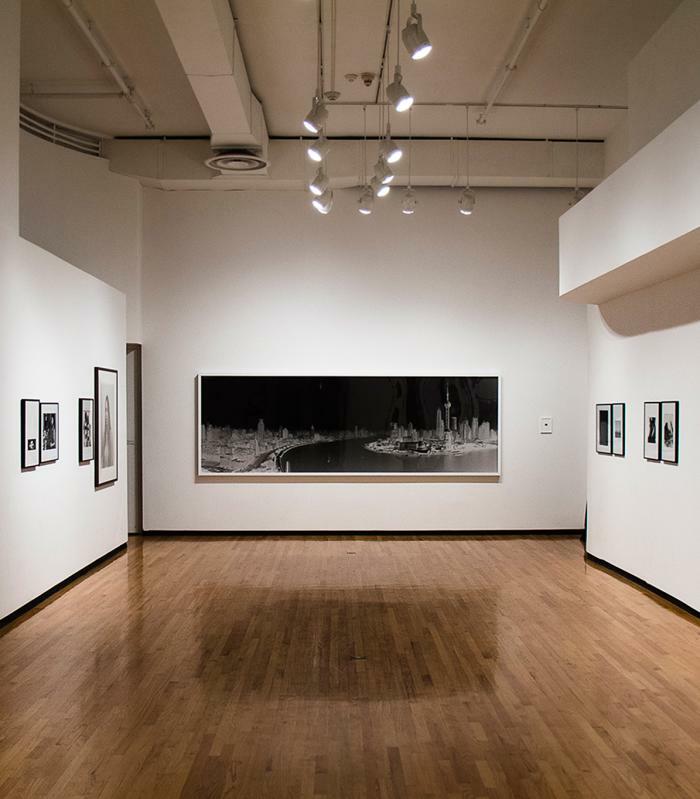 This treasured landmark on The Magnificent Mile has been transformed into a beautiful, intimate gallery for rotating art exhibits of works by local photographers and artists. 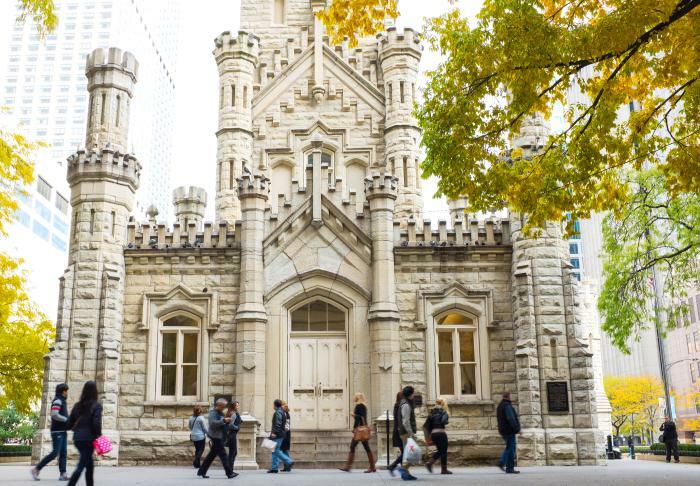 Constructed between 1867 and 1869, it was created for Chicago’s municipal water system, and originally housed a 135-foot iron standpipe used to regulate water pressure. 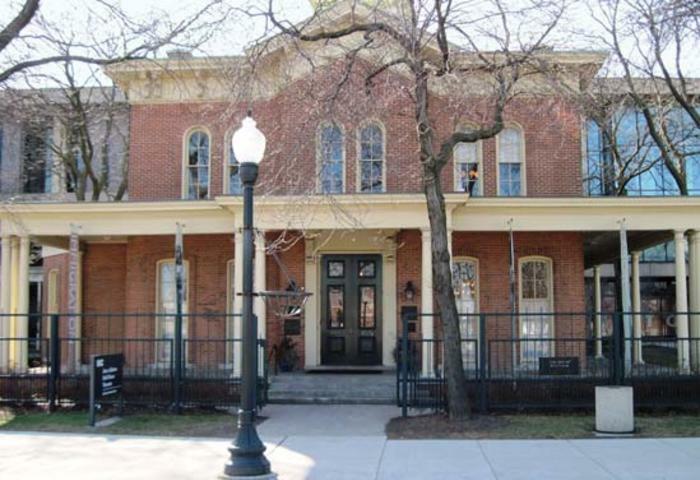 It gained special significance as one of the few buildings to survive the destructive path of the Great Chicago Fire of 1871. Both the Water Tower and Pumping Station to the east (home to Lookingglass Theatre Company) were designed by William W. Boyington, one of Chicago’s most prolific architects of the mid-19th century. 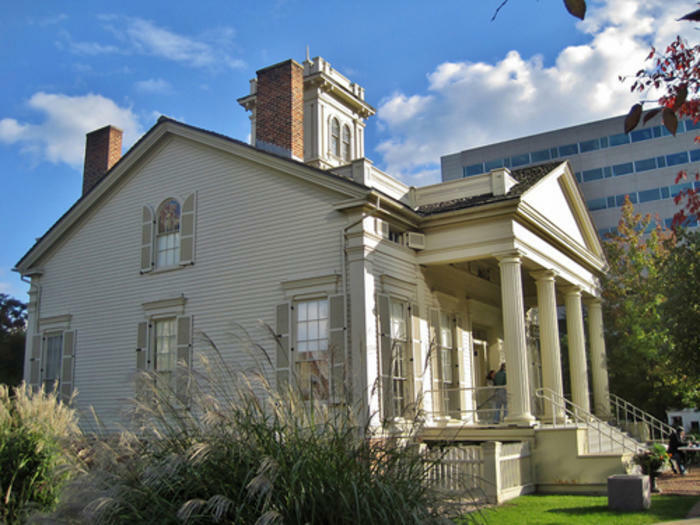 Built in 1836 and located in the Prairie Avenue Historic District, the Clarke House Museum is Chicago’s oldest house, constructed for Henry B. Clarke. See what life was like for a family in Chicago during the city’s antebellum formative years, when much of the area was still undeveloped prairie. 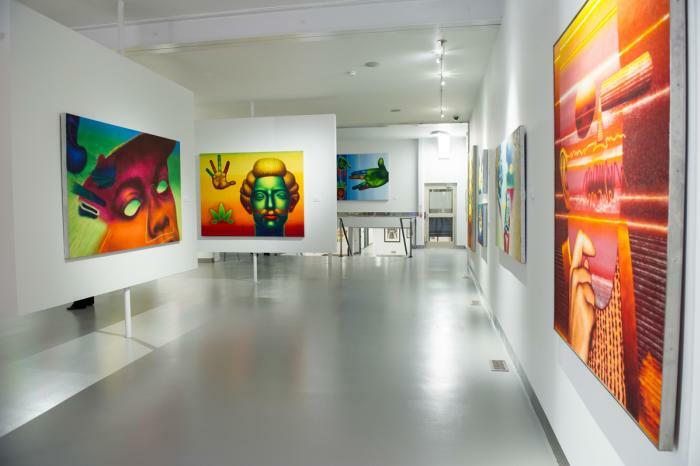 With 2,800 square feet of exhibition space and 1,700 square feet of educational space, the mission of the Ed Paschke Art Center is to preserve and provide public access to the work of the legendary Chicago artist Ed Paschke; serve as an educational resource for youth, adults, artists and academics; and function as an accessible platform for artists to showcase their work. 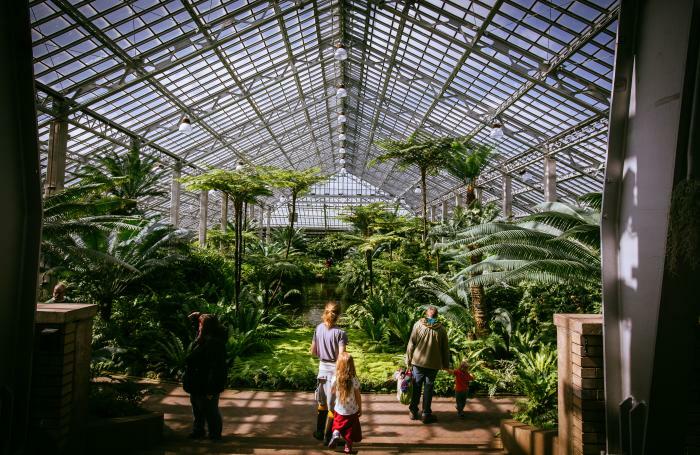 As one of the nation&apos;s premier displays of rare plant species, the Garfield Park Conservatory has a half dozen greenhouses and two large exhibition halls. This is one of the largest public libraries in the world, encompassing close to a million square feet, filling a whole city block, and housing more than 13-million published works. 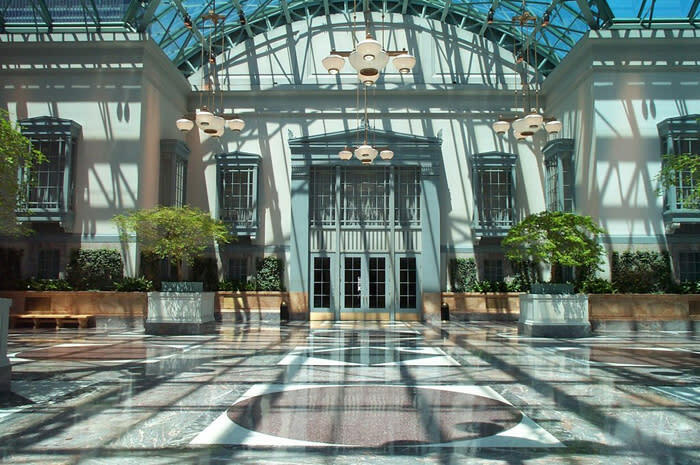 Enjoy all the architectural details while you&apos;re there, which include giant owls perched on the roof, the Roman goddess of grain Ceres on the facade, and a sun-streamed 9th floor Winter Garden. Also explore the art collection which features over 50 local and internationally known artists displayed throughout the halls and reading rooms. 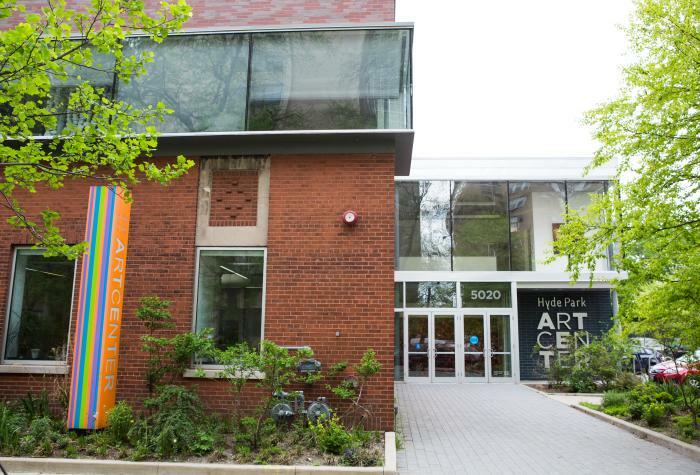 If you&apos;re looking for open-to-the-public gallery talks, poetry readings, musical performances, and art classes, HPAC offers free cultural exhibitions for visitors of all ages. 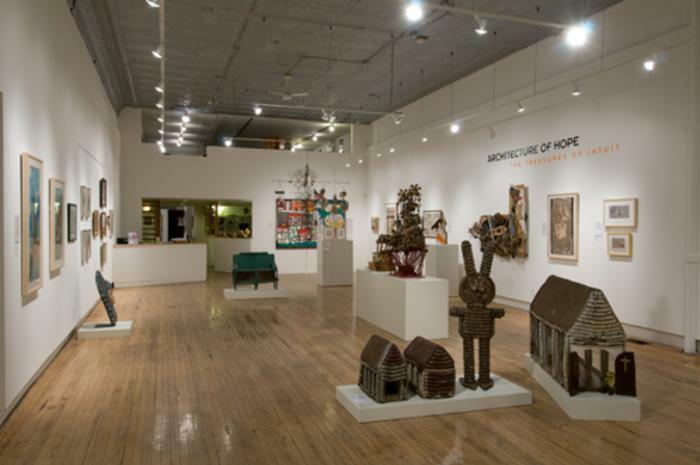 Established in June 1991, Intuit is dedicated to presenting intuitive and outsider art. 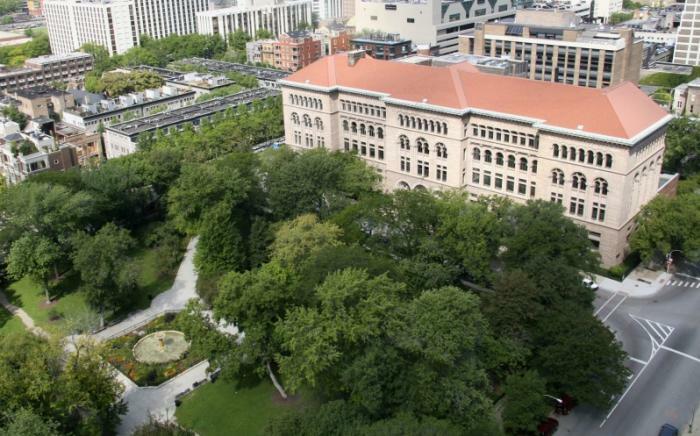 Its 12,000-square-foot facility boasts world-class exhibitions; a Permanent Collection with holdings of nearly 1,100 works of art; the Henry Darger Room Collection, a permanent installation; and educational programming for people of all interest levels and backgrounds. 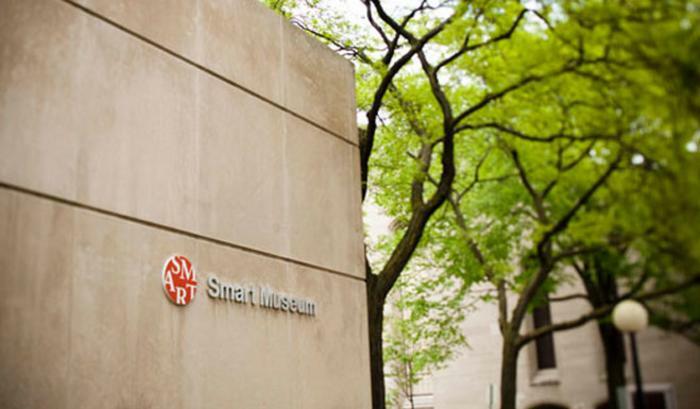 This museum is dedicated to providing free exhibits and programs that focus on policy efforts. The tribute to Jane Addams serves as an educational conduit to addressing issues that affect the sociological conditions of underserved communities. 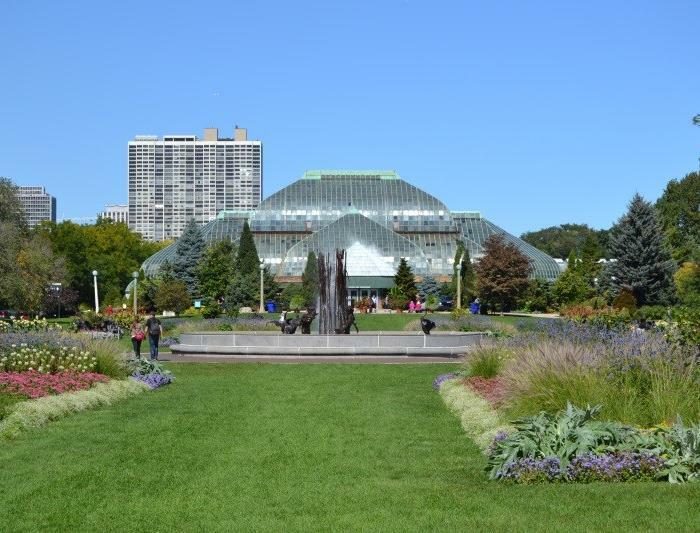 Located in stunning Lincoln Park, this conservatory displays some of the most stunning flowers and rare plant life. No matter the season, a walk through this storied greenhouse will always feel like a stroll through paradise. 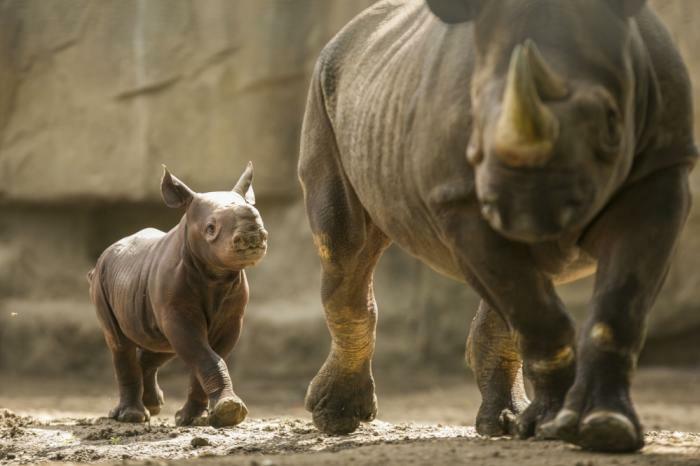 As one of only a few free zoos in the country, Lincoln Park Zoo covers more than 35 acres and features over 230 species of animal. The Farm in the Zoo and Nature Boardwalk bring you up-close-and-personal with the natural world. 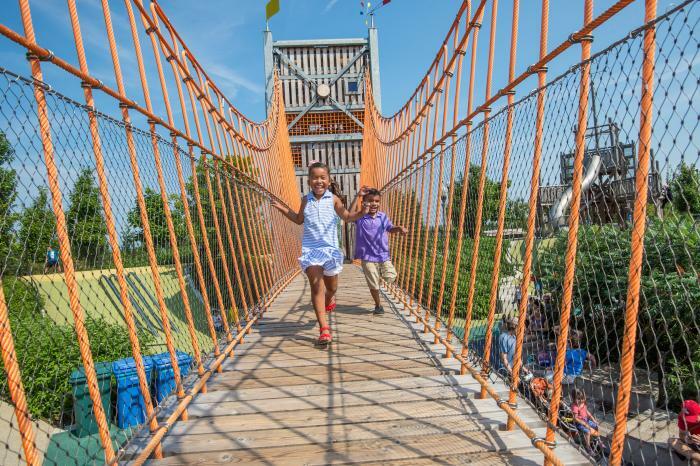 Located immediately east of Millennium Park, this play park for kids is an imaginative 20 acres designed in the spirit of Alice in Wonderland and Charlie and the Chocolate Factory. It comes complete with its own mini lighthouse, a life-sized ship, two climbing walls (fee starts at $15), 30-foot Suspension Bridge Towers, a quarter-mile long skating ribbon, an Enchanted Garden of upside-down trees, and several Picnic Groves. One of the state&apos;s most popular tourist attractions features larger-than-life public art (don&apos;t miss Cloud Gate for a mirrored look at the skyline or splashing in Crown Fountain during warm weather months); a cutting-edge performance stage (the Frank Gehry-designed Jay Prizker Pavilion) which is a venue for free concerts and film screenings all summer; and the all-seasons beauty known as Lurie Garden. Make sure you check out the Millennium Park schedule for a listing of upcoming events and tours. As one of the only museums in the region devoted exclusively to photography, this cultural center aims to communicate the value of still images, artistic expression, and human thought. 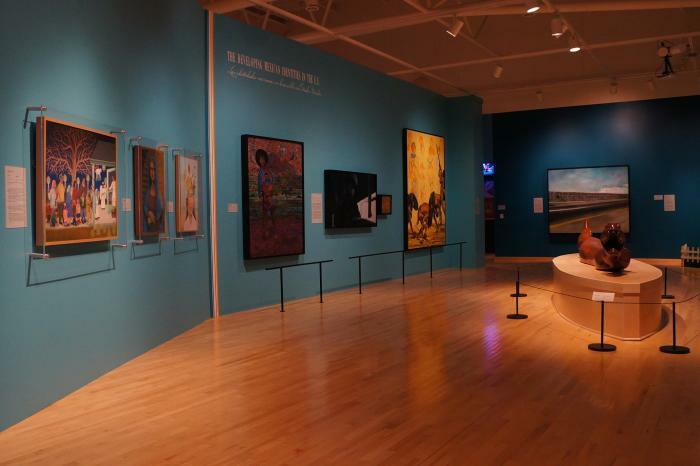 NMPRAC features visual art exhibitions, hands-on community arts workshops, films in the park, and an annual outdoor fine arts and crafts festival. This truly unique museum features work by combat veterans from all conflicts, with the mission of collecting, preserving and exhibiting art inspired by combat and created by those who have endured it. Located in the cultural epicenter of the colorful Pilsen neighborhood, this museum celebrates all facets of Mexican culture. In fact, it&apos;s the largest museum of its kind in the nation. 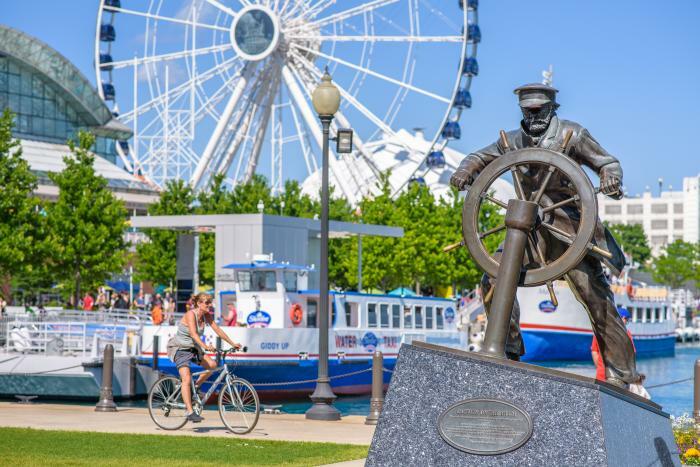 One of Chicago&apos;s most recognizable landmarks boasts gorgeous lakefront views. Over the summer you&apos;ll witness free weekly fireworks on Wednesday and Saturday evenings, as well as free outdoor concerts in the Miller Lite Beer Garden. 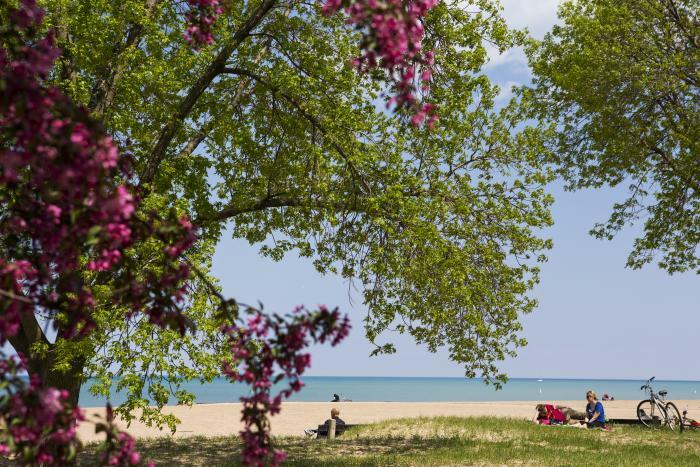 Chicago boasts hundreds of free public parks that cover over 8,000 acres of the city. 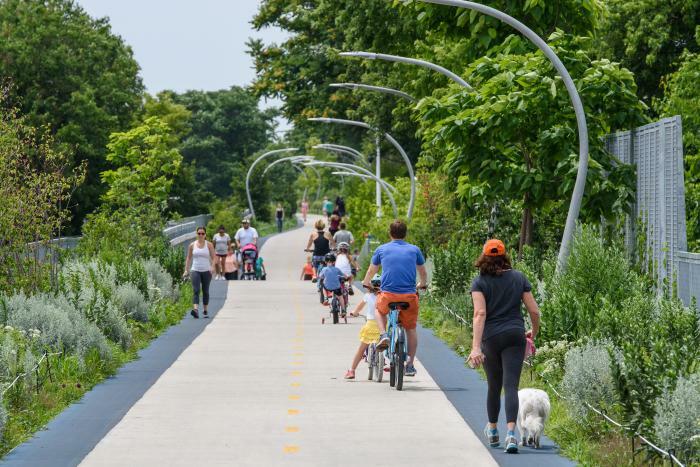 Many feature wildlife havens like Northerly Island and North Pond Nature Sanctuary; incredible landscape designs such as Alfred Caldwell Lily Pool and Humboldt Park&apos;s prairie river and boathouse; and athletic facilities such as the kayak boathouse in Ping Tom Memorial Park. You can also spend the day at one of the free public beaches, open Memorial Day to Labor Day. Get lost in the first space in Chicago dedicated solely to the art of poetry. 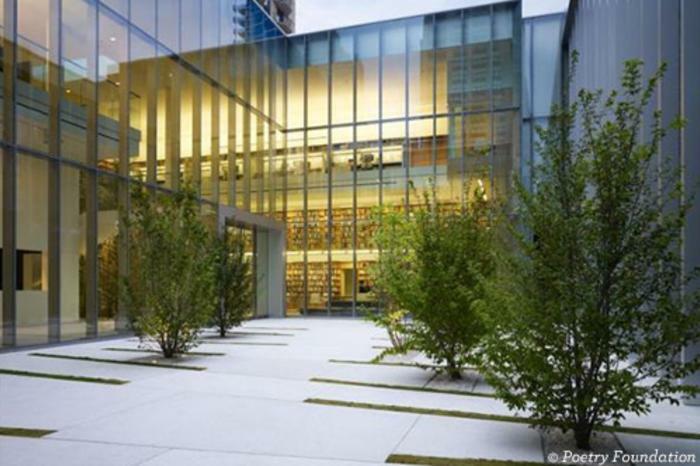 The Poetry Foundation houses a public garden, a 30,000-volume library, an exhibition gallery, and an extensive roster of weekly public programs and events. Trek this stunning 2.7 mile elevated park trail and explore its five interconnected neighborhoods. With its linear walking/bicycle/jogging paths, as well as ample green space, it boasts scenic lookout points, public art murals, and an outdoor observatory. This stunning library contains more than 1.5 million published works and often features special exhibitions. Focusing on the rich history of the ancient Near East, this museum displays artifacts recovered during Oriental Institute excavations. The society offers exhibitions and programs that provide insight into and education on the wonders of art history. The name says it all. This museum features works from some the world&apos;s all-time brightest minds like Goya, Frank Lloyd Wright, Degas, Rodin, Matisse, Picasso, Rivera, and Ansel Adams.